Jackie Robinson was the first black person to play major league baseball. While breaking baseball’s color barrier, he faced jeering crowds in every stadium. While playing one day in his home stadium in Brooklyn, be committed an error. His own fans began to ridicule him. He stood at second base, humiliated, while the fans jeered. 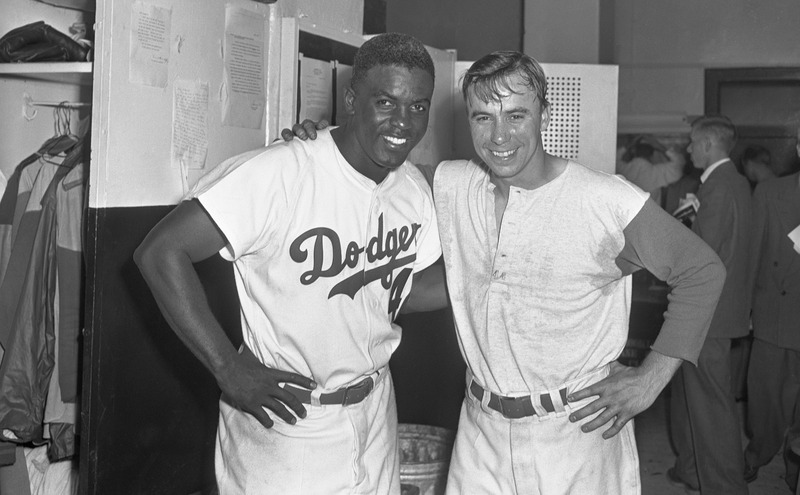 Then shortstop “Pee Wee” Reese came over and stood next to him. He put his arm around Jackie Robinson and faced the crowd. The fans grew quiet. Robinson later said that arm around his shoulder saved his career. Always be looking for an opportunity to make an encouraging gesture to someone who desperately needs it. This entry was posted in Christian Living, Leadership, Sports and tagged 1 Thessalonians 5:11, Brooklyn Dodgers, encouragement, illustration, Jackie Robinson, Pee Wee Reese. Bookmark the permalink.